I haven’t been posting much on here because there hasn’t been any clear direction for my training or major break throughs to report. Of course that doesn’t mean I have been standing still either, if anything I am having a difficult time making my exercise diversity co-exist. 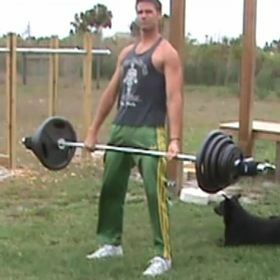 For example, for the past couple months I have been adding dead lifts into my weekly gym routine. Dead lifts are a great full body exercise and I think doing them has helped my overall strength. 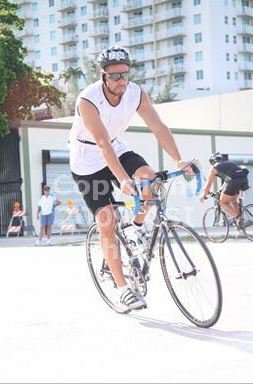 However dead lifts can also have some side effects like sore legs/back which can impact the endurance training I do on the weekends, which is a random combo of running, biking and swimming. Since I started going heavier on the dead lifts I also have had some issues with my forearms. Gripping 305 is tough, especially if you are using an overhand grip. The sore forearms makes pulling/gripping exercises painful so it affects my bar work. So lately it seems like I have been doing more of a juggling act than anything, each day trying to figure out which body parts hurt the least and work those. I still have not found a rotation that allows me to do EVERYTHING I would like to do on a consistent basis. Until I hit the lottery and retire I am not sure if I will ever find the time. It’s a vicious circle. If I run on Saturday or Sunday, my knees could still be hurting for leg day on Wednesday. Or my legs could still be sore from leg day when it comes time to run. An aching back from dead lifts make dragon flags on Friday next to impossible, it is a PIA. The one thing I have been trying to be consistent with is working the basics into most work outs, trying to hit triple digit reps in either push ups or dips across multiple sets. Doing triple digit pull ups is a work out in itself. For June we are bringing back the Bender on the BB forums! 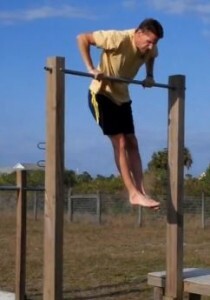 This was one of my favorite challenges, combining pull ups with leg raise variations. It is a VERY tough movement which will tax your core and grip to the max. Find out the details of the challenge here!